Taking a stroll in Alberta through the eyes of Archbishop Legal, ca. 1880-1920. 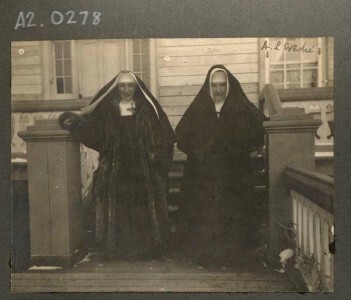 Between 1890 and 1920 Archbishop Legal created three amazing photograph albums which are safely stored in The Catholic Archdiocese of Edmonton Archives temperature and humidity controlled vault. Each album contains over a hundred photographs of churches, hospitals, schools and other catholic institutions. 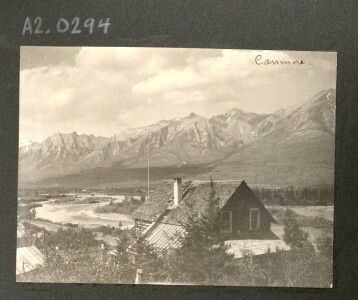 As he traveled to parishes and mission, visiting the many communities located in the Diocese of St. Albert (1902-1912) and the Archdiocese of Edmonton (1912-1920) Legal witnessed the construction of train stations, railway lines, houses, and hospitals which would become important focal points for growing communities across the prairies. 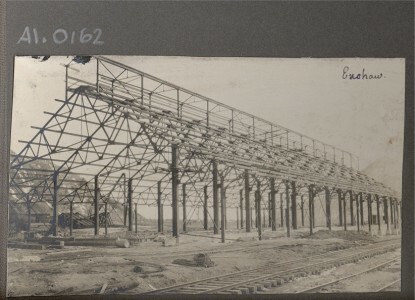 Construction of Train station in Exshaw, Alberta, ca. 1900. Legal’s photographs capture the harsh reality of life on the prairies at the turn of the century and the poverty many new immigrants faced as they established farming communities in a less than forgiving climate. Rev. Francois Alozewski with crowed gathered in-front of a sod-roof home, ca. 1900. His travels took him from Cardston to Peace River and all stops in between. 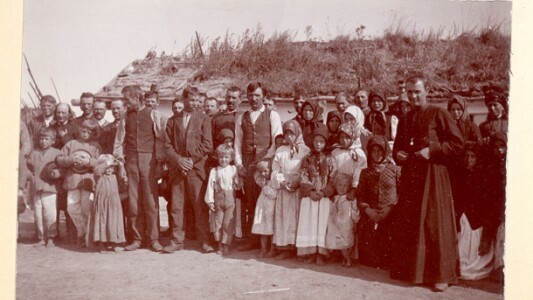 Many of the missions Legal visited were populated by only a few families and while some would eventually become large populated cities, many remain small communities. Looking down into the Canmore Valley, ca. 1900. 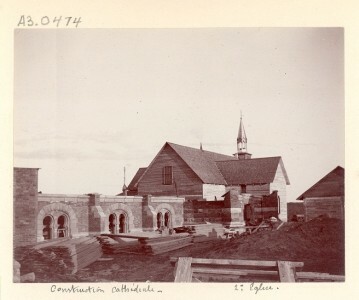 Construction of the Cathedral at St. Albert, 2nd chapel visible, ca. 1900. These three photograph albums are some of the wonderful treasures in the Archives. They show the reality of life in Alberta, the difficulties faced by those who chose to make this place their home, the obstacles they overcame, and the joy they experienced while doing it. Two nuns on the steps of the Bishop’s Palace, St. Albert, ca. 1900. This post was submitted by Shamin Malmas, archivist for the Archdiocese of Edmonton.